Boil and peel potato. Mash them. Finely chop coriander leaves and green chilies. Mix potatoes, green chillies, coriander leaves, red chilly powder, spice blend, sugar, salt and lemon juice properly. Dip papad in water and take them out. Now roll potatoes into papad and role papad also. Seal the corners with gram flour batter. 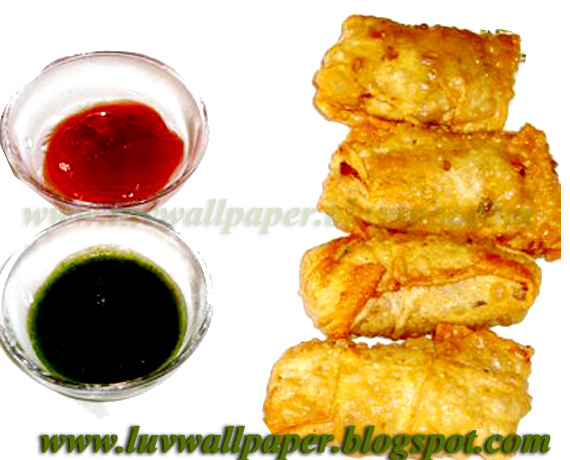 Heat oil in a pan and deep fry all papad rolls until they turn golden brown. Serve them hot with chutney and sauce.